Your website is the interface of your business online. So if you want to optimize your business on the net you have to advertise your business on the internet as the case goes for offline mode. In the online mode, there are many methods and applications which help you to promote your business. One of the primary methods will be a tool for optimizing your ad campaigns online. This application is based on the CPA bidding. It increases the conversions for your website by targeting the right customers and managing your assets. Apart from the Ad Optimizer application which is largely based on algorithms of Google there are other methods as well. You can compare your different ads and focus on the ads generating more reviews. The Display Advertising Campaigns suggest exclusion of the ads, which is an effective form the normal ad campaigns for better tracking of the conversions. You have to select few destinations where you want to put your ads and you have to structure your ads accordingly. In the online advertisement, creativity and content always plays an important role. You should always monitor your ads and tryout new changes and incorporate them in your existing ads. You can change the content style and add new images. You can also do a market survey and have a look on the offers and gifts your competitors are offering the customers. You can also structure new offers accordingly. Display Advertising Campaigns can generate better results if you avail the services of digital advertising companies. These firms are always updated and resort to industrially approved creative practices which will give your site better results and publicity. As it comes to the proper management of your streamlined PPC or pay per click ads you need to be aware of the best rates. Being careful of the most important rate types should be a prime concern for you. The more focused you are on the rates the better it is for you. you need to be aware of the best rates in order to get the best value for your money. Here is a brief discussion that is going to shed some significant light on the issue. Bid based profitable rates happen to be one of the most important as well as quintessential rates that advertisers should be aware of. Bid based profitable rates happen to give a spurt to your SERP results. If you are actually focused on various private auctions then these profitable rates are going to be your ace in the hole. By means of these rates you are going to gain maximum leverage in the advertising networks as well. Gaining access to the best of bids is going to be more an achievable task for you. The best part is that you are also going to get the edge of online tools that can help you deal with the bids as well as the related rates. You can get the best of the edge from pay per click management provided you choose to be thorough with the Flat rates. Flat rates are really important in the entire cycle of pay per click management related actions and activities. Flat rates are going to give you consistent as well as constant benefits for sure. In order to get the best out of these rates you would be advised to resort to the help of comparison shopping models. As advertisers these flat rates are reliable options for you. Make sure that you are going to be aware of all these versions of PPC rates. as well as quintessential bid based money-making rates connected with pay per click management. Doing so, you are sure to have a surefire edge while trying to make a bid on particular keywords. Check out all the latest details that you get on these two aforementioned rates. It will give you an edge over your competitors. If you are on the prowl for greater visibility then these tow rates are going to be useful particularly. At the same time you can get the benefits of higher fringe of targeting as well. For advertising, local is relevant. That is no small statement either. We know it’s true not just because it makes sense, which it does if you take but a moment to consider it, but because Google went ahead and did a research study on it. In their May 6th Inside AdWords article titled New Research: Location Extends the Relevance of Search Ads one of their key statistics is that 80% of those involved in the study wanted advertisements to be customized to their rough location. Some of us are hesitant to give away our geolocational information freely to apps, devices, websites and search engines because it can be considered as private information open to abuse. Various steps have been taken to keep this trust transfer visible and reversible. For example specialised websites have to issue a request to use your location data which you can revoke. On your smartphone disabling geo-tracking is as easy as disabling your gps. Other means of tracking users’ locations however remain unavoidable, such as IP address logging and cellphone tower ids. This might sound a touch 1984 for anyone paranoid with Big Brother, but the tradeoff is quite benign, if not quite beneficial. By including the user’s location in context Google offers search results relevant to where they are or where they might go. Searches for “hardware store” shouldn’t produce results of the world’s most popular hardware retailers but instead any and all hardware retailers that are at least within the user’s country. Ideally the results should be so granular as to suggest the very closest hardware store to the user. We have grown accustomed to search results made relevant by having them go through a “local” filter. Searching for “bank” in South Africa does not feature “Bank of America” very prominently, and it shouldn’t because we are most likely not interested in it. That said one part of the search results page that Google has significantly less control over is the advertising space. Google wishes to keep all its content relevant and goes through great effort to ensure that that is the case, so when Google suggests some advertising best practices then it’s recommended to listen. Here the message is, try to keep it local. For new online marketers how to keep ads local and relevant might not be entirely clear. There are primarily two methods of ensuring geographical relevance: Advertising to users close to your business and advertising to users interested in the area of your business. These two audiences require two distinct strategies. We know whether users are close to a location by various tracking information that is collected during a search and according to what device it originates from. This is especially relevant to mobile devices. You can designate an area you wish to advertise to, ideally with your business in it, by district, city or radius. The granularity depends on the local infrastructure and you may find that sometimes you are limited by how local you can focus an ad, and it might be better to broaden slightly to keep traffic optimal. This targeting method ensures that users will only see your ad if they are within the designated area. This is good for retailers and certain services. The other method designates an area of interest. This means that there is no restriction to who may see your ad, provided that they included some kind of qualifying search term that indicates interest in that area, such as a street or suburb name. Google figures out what qualifies as a local interest in these cases, so it might be better to restrict your audience location first, and then manually adding qualifying search terms that you trust yourself. The type of users’ that are captured with this targeting might not be within the area of interest itself, but may be in the near future. This is especially important for real estate and hotels, whose clientele are not necessarily close by when they are doing searches. By going through the effort of qualifying your audience by location before showing your ads to them will serve both Google, who always wants more relevant ad offerings, and yourself by ensuring better click-through rates and better qualified clicks. Before creating an ad campaign, you need to chalk out the psychological profile of your targeted customers. Considering what they prefer, what are their traits and habits can help you a lot to select the correct setting of the same. Apart from this, you can also get an idea about the right set of keywords that will make your ad visible in the search results. You will also come to know that which website(s) and geographic location(s) are suitable to post your ads. Make sure to develop ads for different platforms. This is because; customers do not only use desktop browsers, but mobile, as well. Once you have got sufficient information about your customers, it’s the time to think about your financial planning. Knowing how much you are willing to spend for reaching out your customers and what are expecting from your campaign are very crucial. This helps you to proceed in the right direction. Some of the major advertising platforms allow you to set your standard budget on the basis of your advertising objectives. However, make sure you are comfortable enough with the budget you set. This needs no explanation that proper management and organization are essential for becoming successful. As told earlier, there are many ad platforms available on the web. So, before you develop your ads, it is very important to educate yourself that how they are formed to help you. This will help you in a better way to create powerful and compelling ads. So, these are the steps in creating an advertising campaign that are considered to be important. If you are still facing some problems when creating an ad campaign, it is always wise you ask for professional help. This will not only help you learn how to design an ad campaign, but also help you to implement it. After all, it’s for the promotion of your business and you definitely want it to be successful. Best of Luck! There are two marketing strategies that are at odds with each other when designing a PPC marketing campaign. It is possible to design a campaign to focus on promoting branding or on optimizing for clicks. In almost all cases you can not focus on both. It is unfortunate then that many businesses and online marketers forget the difference. Ad position is calculated from your ad’s AdRank every time a user does a search query as part of the AdWords bidding system. AdRank furthermore is calculated from your ad quality, your bid and any extensions you may be using. Ad extensions, although contributing to your AdRank, does not play a core role in its calculation, so we will not be focusing on it here. Once your account has been optimized for ad quality, which each and every account should go through, only one variable remains. Your bid amount. Ultimately your AdRank is calculated from multiplying your ad quality by your bid. This does mean that it’s possible to gain better ad positions for lower bids if your competitors have not optimized their campaigns. However you should expect that your competitors are at least on par with you in terms of ad quality. So now we are presented with a choice. We can adjust our ad position by adjusting our bid. Which one is our goal? You can choose the best ad position and stay within your budget but then only achieve a relatively meager amount of clicks. You could optimize for the as many clicks as possible, but then should not expect to be featuring close to the top of the page. Finally, you could aim for many clicks in the top spot, but then you will blow your budget in no time. Thinking having your ad served near the top spot of Google’s search results page to be a successful campaign strategy may be misleading. As long you are reliably exhausting your daily budget then there is a margin to decrease your bids and attain more clicks. 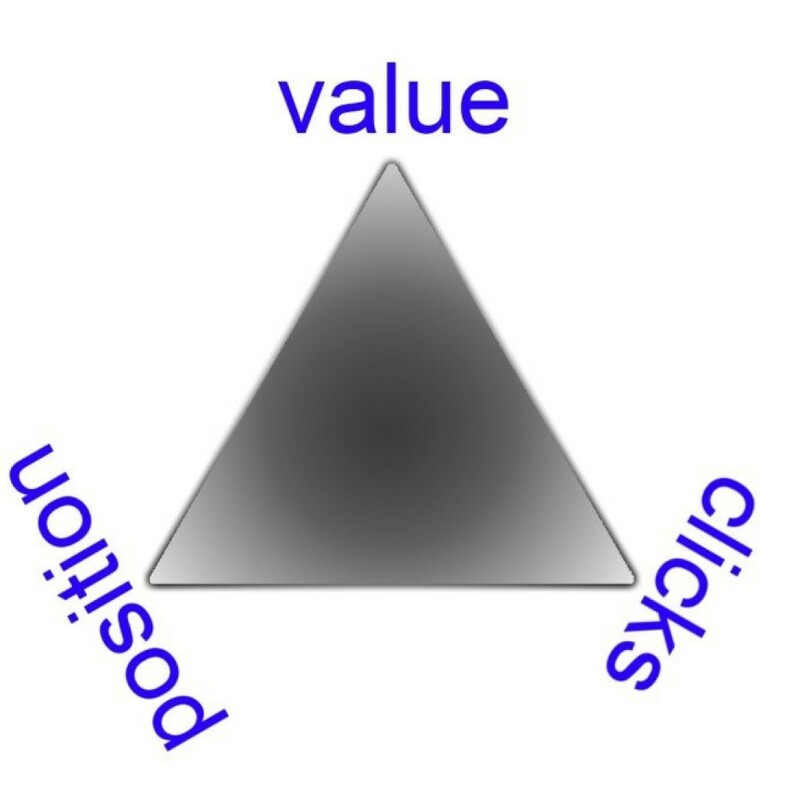 For businesses that have a clear link between clicks and conversions, like most shops driving product sales, finding the sweet spot between average cost per click and return on investment should be paramount. On the other hand if a business wants to establish itself as a household name, or just ensure that its name is present on particular keyword searches, then bids should be adjusted with that in mind. On the 31st of March the Media Rating Council lifted their viewable impression advisory for display advertising. Well let us look at what the MRC does. The MRC examines the technologies that the media industry employs to measure the impact of advertising on their respective audiences, and ensures that all those services that it accredits are valid, reliable and effective. Notable members of the MRC accreditation program include various Google, Microsoft, Apple and Yahoo services. If the MRC advises anything then the big players in online marketing are likely to listen. What the MRC did advise was not to think you or anyone else knows how to measure viewable impressions. Since November 2012 and up until the end of March 2014 the MRC have deemed viewable impression technology to be in its infancy and not sufficiently advanced enough to guarantee accurate measurements. This advisory was not intended to stymie research forays into the field, but instead to protect both the companies from offering flawed measurement services and the people willing to use them. The time since the advisory was put in place was enough to develop the technology and standards needed to provide rich, accurate data on viewability. The MRC outlines their decision and the rationale behind it here, or alternatively visit their website at www.mediaratingcouncil.org. Why is impression viewability important to us? The watchword of online marketing is measurability. Instant, real-time information gathering on what you’re advertising, when you’re advertising it and to whom you’re advertising it to. Today you can see how many people are on your website, what they are viewing, how they got there and what path they followed to get there. The more information we can gather on our customers, as well as who didn’t turn out to be valuable customers, the more we can do to fine tune our marketing efforts. Right now Google’s Search Network is a finely tuned machine for advertisers. Everyone knows exactly what they are bidding on and where their ads are displaying. If you are maintaining a 2.0 ad position average then you can be confident that your ad is appearing within the top three spots on Google’s Search Engine Results Page. Display advertising is severely lacking in a number of these metrics. First and foremost you have little control over where exactly your appears on 3rd party websites. You have no guarantee that your ad is being displayed in a prominent position likely to get the user’s attention. Worse still, there is no guarantee that your ad is seen at all despite racking up impressions. This is the lack of security that impression viewability technology wishes to address. In theory if an ad has been scrolled passed or not even seen then that should not count as a viewed impression. In practice due to the lack of cohesive standardisation around website design and even impression view metrics it has been difficult to know whether viewed impressions really were viewed impressions. That, the MRC believes, is now a thing of the past and Neal Mohan (VP of display advertising at Google) agrees. He writes a compelling article advocating why impression viewability is a sorely needed metric in online advertising. You can read his article here. The hope is that because only a finite amount of online content can be reasonably be consumed by the web-surfing public guaranteed views are actually a valuable, limited resource. A webpage might serve an unrealistic amount of ads, but only a fraction of them, if any, can be classified as guaranteed views. Advertisers wish for their marketing efforts to be measurable and have a demonstrable impact. Advertising platforms such as Google wish to keep their ad networks of high quality and desirable. With viewable impressions set to become an industry wide standard both may come to be realised. Advertisement is shaping us in almost all sectors of our life. As the verticals like above-the-line and below-the-line are already used up, marketers are using the secret weapon of online platform. However, our excessive exposure to the advertisements has created an indifferent attitude towards the promotional messages. This makes it more important to master the skill, of how to create Ads successfully in the 3 lines advertisement copy of Google Adwords. This can certainly help you to get the viable leads to your business. To have a robust content marketing, through inbound marketing strategies, you need to create proper pay per click advertisements. Owing to the present economic order and technological advancements, the market has become extremely price sensitive. Moreover, considering the e-commerce marketing, you need to avoid the aggressive pricing and maintain the trend of the present market value. This will help to stops the visitors from instantly switching over to another site or other search results. Using the competitive pricing and by explaining your offers in as low as 95 characters, give your visitors the reason to buy from you. As the online shopping is price based, include the product price to get qualified customers, and let them decide on the spot. Use your call to action message, to tap your customers’ attention, and provoke them to take the buying decision. Online shopping is still a new concept. For this reason, you need to take measures to reduce the risks that can drive your customers away. Before any worry creeps-in, keep things clear to the shoppers, especially about the shipping details, return policies, and other legalities. These will encourage them to take action without wasting time. Build a long standing relationship with credibility of your entity, and flash your credence, like years in business, important associations, and any other things that can let you have the nerve of your customers. Of course, let the buyers know, what you are offering them, are the best and are different from others marketers. Also, establish your unique selling proposition to the buyers, by displaying the product features in your promotional message. One of the first calculations we make, or shown automatically, when we are presented with impression and click data on an ad group or campaign is to divide the clicks by the impressions. Multiply that result by a hundred and then you have your expected Click-Through Rate (CTR) expressed as a percentage. Your CTR represents how much traffic it captures typically and its exact value usually depends on what you’re advertising, how you’re doing it and to whom. We care about having a CTR that is not abysmally low for two reasons. Firstly it is simply common sense that an ad that is racking up impressions but not clicks isn’t serving you very well. While impressions (in the Google Search Network) doesn’t have a monetary cost you will however pay in other means. It takes time and effort to set up an ad campaign which you should be rewarded for. Even if time and effort is negligible you are nonetheless serving dysfunctional ads for keywords that could otherwise be giving you returns. These points may not be sufficiently discouraging to stop this behaviour, which is why AdWords steps in to prevent it. AdWords compares the CTR that you are getting with what it thinks you ought to be getting, adjusting for ad position and market forces, and if given sufficiently disappointing numbers your Ad Rank will drop. This may even cause your ads to stop serving altogether if their ad rank wasn’t good to start with. Not having your Ads prevented from showing is the second reason why we take CTR seriously. But not too seriously. An ad’s CTR is not the sole indicator of its performance. It is possible, nay easy, to create compelling ads that captures swathes of traffic while being completely irrelevant to your business. This is why it’s important to qualify your audience with your targeting and ad text. 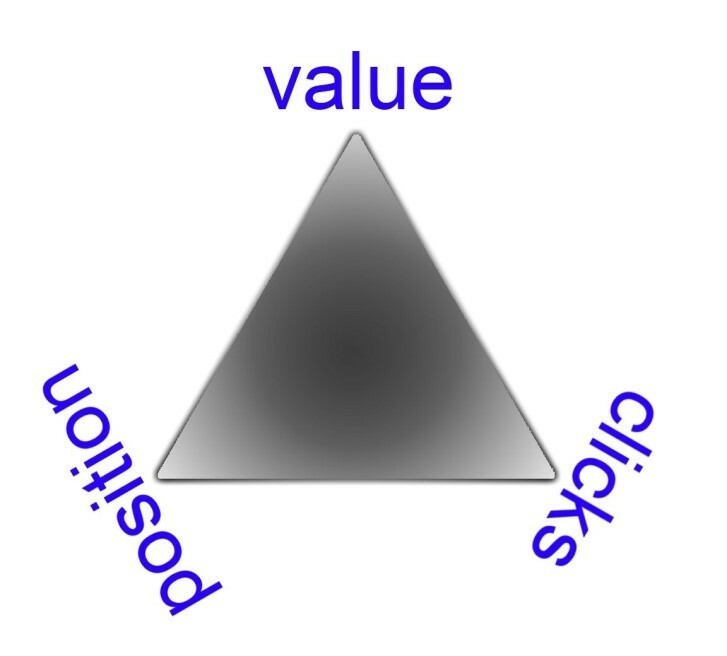 Irrelevant clicks are a direct liability and a drastic misappropriation of marketing funds. So let’s see how to keep them relevant. Using tools in AdWords to control when your ads show and to whom is the first step to optimising your CTR and relevance. By excluding markets that wouldn’t be interested in your product or service in the first place you’ve avoided both pointless impressions and irrelevant clicks. If you have a food delivery business that operates in a particular set of suburbs then it would be best not to advertise in the greater metropolis. For that matter it would sometimes be best for your ads not to serve at times when your business is closed. Optimising your targeting parameters can influence your CTR to either increase or decrease, but because we have removed a lot of uninterested parties we can expect it to improve. As the second part of qualifying our audience we have to use ad text that captures people’s attention without misleading them or incorrectly portraying the business or product. More compelling ad text that users are interested in seeing, such as real discounts, specials, vouchers and prices, will get them clicking. Being specific about what is being advertised and what people can expect once they’ve clicked allows them to decide about it beforehand. This is could actually decrease your CTR because of people deciding on the fly whether they are interested or not. Despite sounding counterintuitive we actually want his to happen. If you can get shoppers to gauge their willingness to purchase before they click then you haven’t wasted a paid click on them making that decision on your website instead. So we have come to a shocking revelation. There is a scenario where implementing a marketing strategy that reduces your CTR is actually a good business decision. We have a metric that indicates this and it is called conversions. Conversion tracking offers a way of measuring which ad and keyword combinations result in clicks that actually lead to valuable actions. It is one thing for someone to read your ad, click it and land on your website and it is another thing for them to order services or purchase products thereafter. It will also tell us when a change that reduces CTR actually improves sales. Once conversion data starts rolling in it’s possible to judge what keywords are getting clicks but don’t lead to conversions and which ones do. From there it’s pretty easy to optimise. From this data we can start estimating profitability. If we look at an ad’s average Cost Per Click (CPC) and divide that by the conversion rate then we get an estimation of how much each conversion ultimately costs. If that value is less than the average worth of a valuable action on your website (minus expenses that aren’t ad related) then the ad campaign is returning a profit. Setting up conversion tracking requires some technical skill in regards to HTML code and editing your website. It’s not terribly difficult but some assistance from your web hosting company may be needed. Failing that, either grab the nearest computer-literate person or just try to wing it. Google offers some decent step-by-step instructions here. It’s important to identify what a valuable action is on your website. Often it is not enough that a person has simply viewed your contact details page as we have no way of measuring if that directly resulted in a call or email. However a purchase or transaction is solid ground for measuring returns. We then have a middle ground, where the monetary value of a measurable action, such as signing up for a newsletter or submitting an application form, has to be estimated. Conversion tracking does require extra work in the form of setting it up, monitoring it and optimising it but offers valuable insights that should not be overlooked.